Curated from the pages of Assimilate: A Critical History of Industrial Music, this playlist spans over 30 years, offering a chronological tour of industrial music. From its politically charged beginnings in noisy performance art and process-based tape meddling, it moved into 1980s flirtations with rock to its more recent aggressive, synth-driven goth-tinged dance stylings. Highlights include not only the classic work of Ministry, Front 242, and Skinny Puppy, but also nearly forgotten early work of Die Krupps and the moody latter-day masterpieces by Covenant and Wumpscut. S. Alexander Reed is Assistant Professor of Music Theory at the University of Florida. He has published and presented research on vocal timbre, embodiment, postpunk music, and the recordings of Nine Inch Nails, Laurie Anderson, Rammstein, and Tori Amos. Reed has released five albums with his own gothic-industrial band, ThouShaltNot. 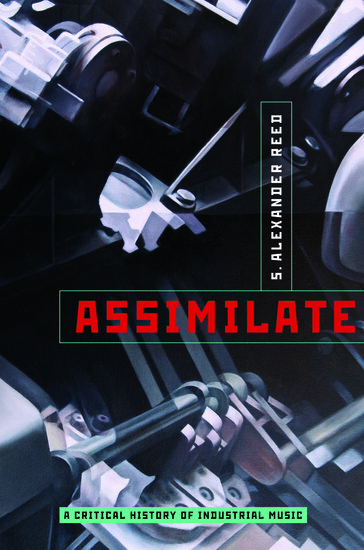 For more Assimilate-inspired playlists like this one, check out author S. Alexander Reed's website.